Sometimes a restoration is not quite what we expect. Our latest restoration commission has turned into something of a detective story. Inlaid wood, good quality. What do you think, 1930s, 40s, early 50s? 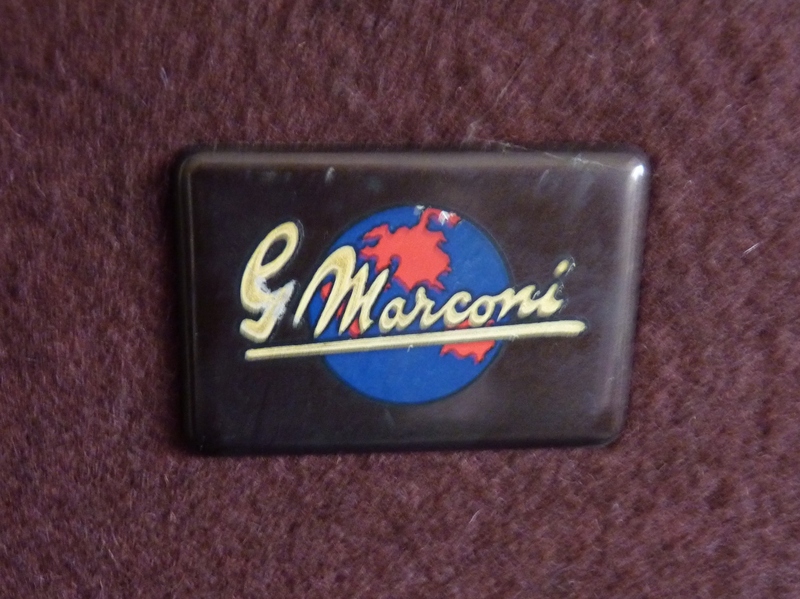 That’s easy, its a G Marconi, and the inside should look like this …. 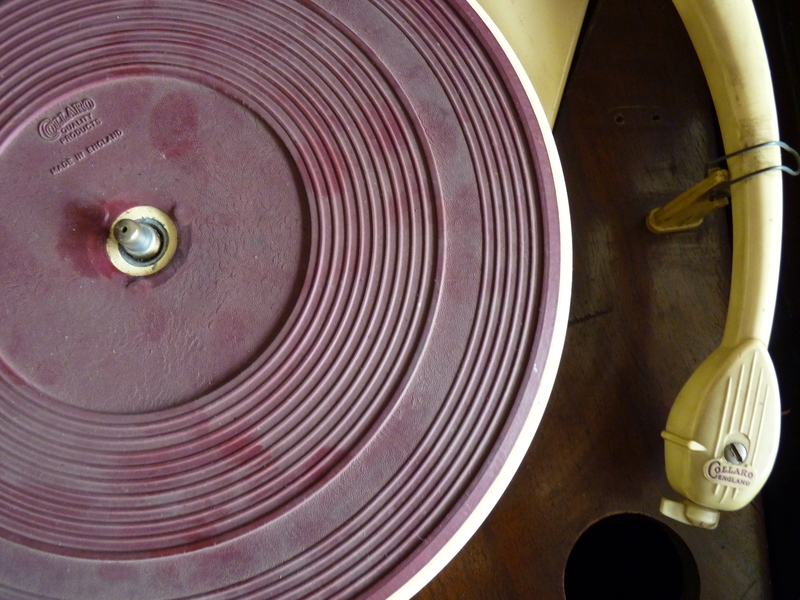 Except, the turntable looks like .. 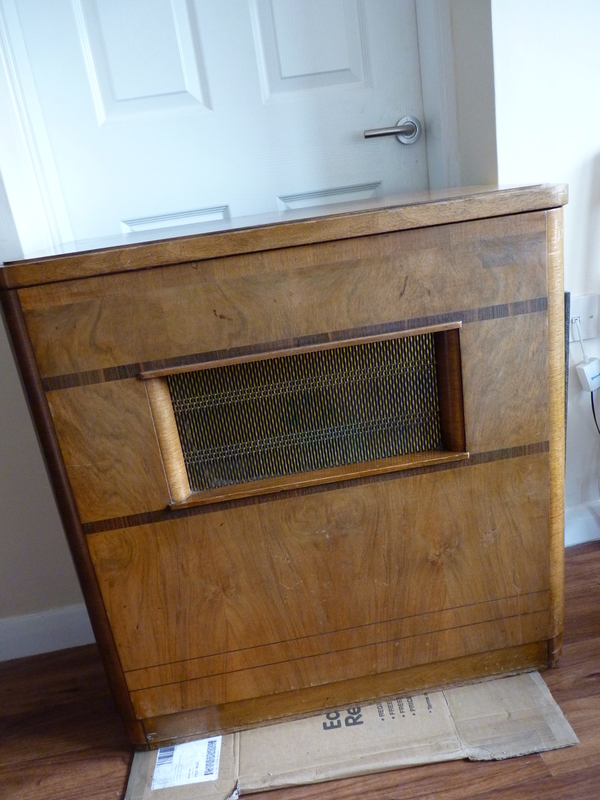 It could be regarded as a bit of a vintage technological mish mash that should be returned to its original specification, but it’s a family treasure not a listed building. 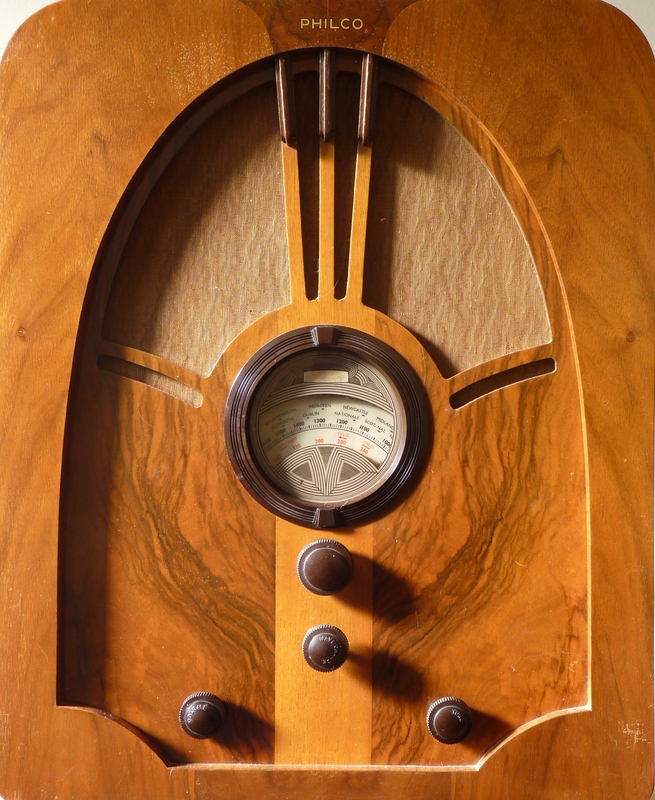 It’s been enjoyed by generations, the turntable and radio have already been replaced by late fifties or early sixties technology and now it’s going to be renovated and upgraded once more to enable its latest twenty first century owner to listen to MP3 or DAB radio. It’s quite special that each generation has managed to make its mark and it’s a privilege to be given the opportunity to get it working once more. 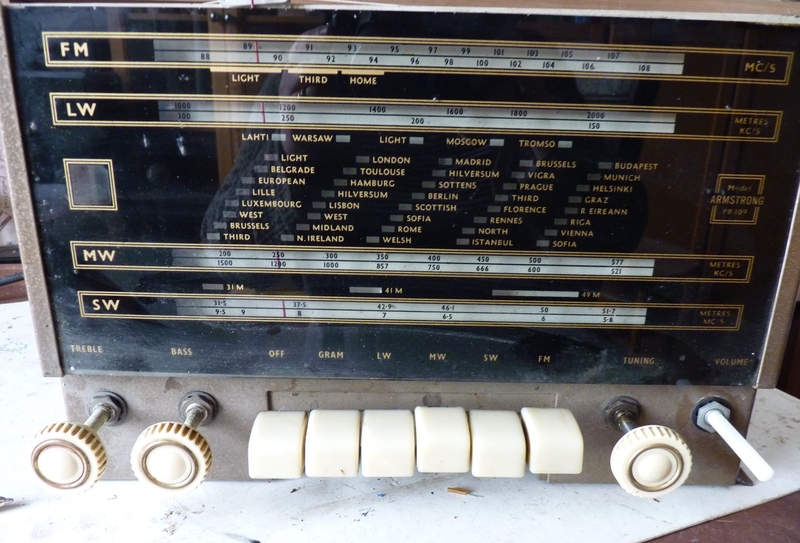 This beautiful radio has now gone to a new home. After all the hard work that went into getting it working again it is quite hard to let it go … but then its always a good excuse to start looking out for a new favourite.